Emily grew up in Northern California spending most winter weekends in Tahoe soaking up the mountain air and skiing competitively. After completing her degree at University of Oregon she returned to Truckee, CA to pursue a career in ski patrol at Squaw Valley. 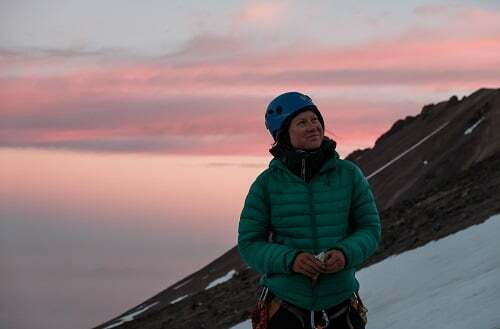 She began guiding in a few disciplines, but found her true passion was for mountain guiding in 2016. She has since guided over 20 successful Mt. Shasta summit climbs. When she is not guiding or patrolling, she enjoys rock climbing, mountain biking and road biking.